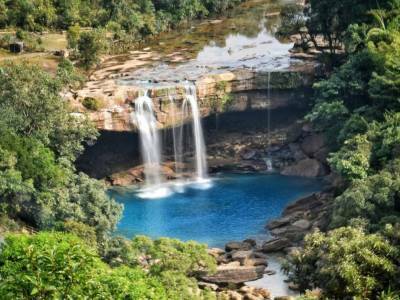 Meghalaya is one of the most popular and exotic places to visit in the northeast India and one of the top five waterfalls to see in the Meghalaya. 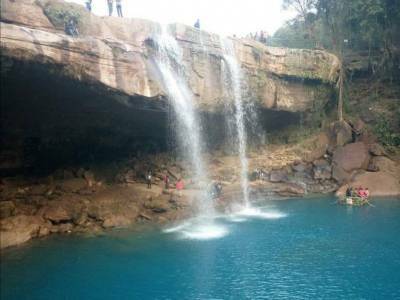 The Krang Shuri Waterfalls is one such popular falls, located about 30 kms from Jowai in the district of West Jaintia Hills. The wonderful place, through the path leading to the Krang Shuri Waterfalls visitors has to cross a forest amidst slippery stone steps that ends to the giant cascade. 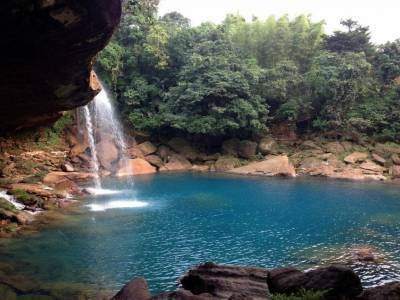 Through the path, a top view of the giant waterfall could also be seen from a nearby viewpoint on the way and can see the silky cascades of crystal clear water flow all through the forest and further culminating in the small waterfalls. The Krang Shuri Waterfalls is indeed a majestic place to visit in the summer. The colour of the plunge pool is what startles everyone. It is the most gorgeous shade of deep, copper sulphate blue. The overall ambience of the place can be related to a wonderland right through a Hollywood film. A least explored place and perfect offbeat destination and very few tourists venturing here. 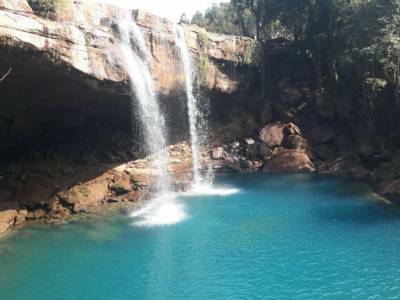 Krang Suri waterfalls is simply breathtaking! Do not miss it, if you are anywhere in the Meghalaya. 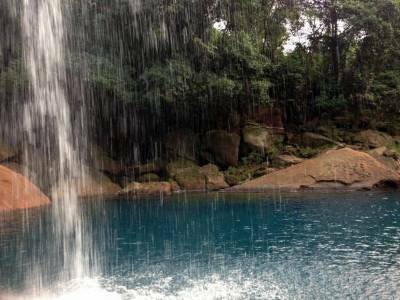 Get quick answers from travelers who visit to Krang Shuri Waterfalls.